Immaculately presented family home, offering 3 double bedrooms plus a study. Spacious formal lounge with a modern, well appointed open plan kitchen / living and dining area which flows seamlessly out onto the sunny timber deck overlooking the private back garden. Good heating options, with a heatpump plus a gas fire, there is the added bonus of a Smart Vent Home Ventilation System, helping to keep the family warm and comfortable all year round. This sunny and inviting home, set in established gardens, is superbly situated in a quiet cul-de-sac, with parks, shopping and local schools all nearby. 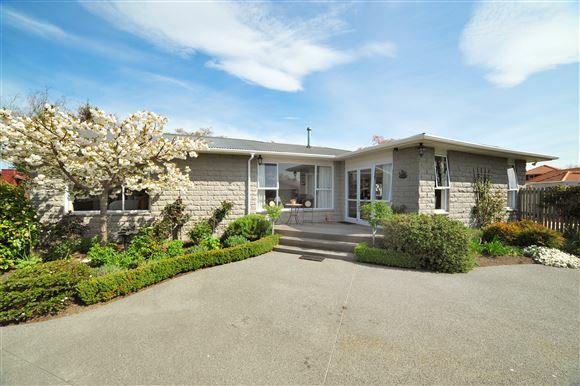 Chattels remaining: Blinds, Drapes, Fixed floor coverings, Light fittings, Gas Fire, Heatpump, 3 in 1 Heat Fan Light, Heated Towel Rail, Smart Vent System, Dishwasher, Rangehood, Separate Cooktop, Separate Oven, Garden Shed, Waste Disposal.